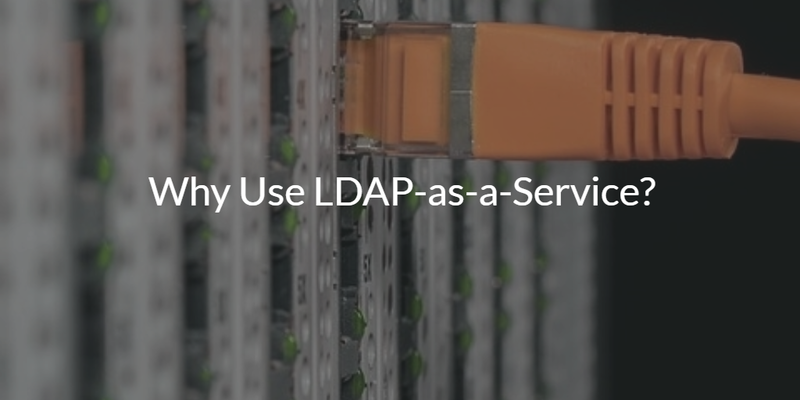 Why Should You Use LDAP-as-a-Service? Home » Blog » Why Should You Use LDAP-as-a-Service? Managing OpenLDAP and maintaining your own LDAP infrastructure is a pain! All that cost and overhead just to authenticate resources that need LDAP. Historically, IT admins had to procure hardware, install software, configure, and then manage the LDAP server. Even then there was still more to do because authentication is a 100% uptime service – IT admins needed to make sure that the server was monitored, backed-up, and secure. This is exactly why so many organizations are moving to LDAP-as-a-Service. LDAP-as-a-Service eliminates the need for companies to manage, monitor, secure, and backup their LDAP server. In short, LDAP-as-a-Service takes the Software-as-a-Service (SaaS) concept that has already revolutionized so many aspects of IT and brings it to LDAP. With JumpCloud’s LDAP-as-a-Service you get all the benefits of LDAP without having to manage your own infrastructure. Plus, JumpCloud functions as the core identity provider so you can authenticate to systems, applications, and networks regardless of platform, provider, protocol, and location. If your resources can connect to LDAP, they can connect to JumpCloud. In addition to just leveraging the LDAP protocol, you can leverage RADIUS, SAML, SSH, REST, and more. You can federate the identities that are used for the cloud LDAP service to also be utilized for a Windows or Mac device – or, even G Suite or Microsoft Office 365. In a sense, an organization’s LDAP server can be extended to be their entire user database. Want to try it out? Sign-up for a free JumpCloud IDaaS account and get started today! If you would like to learn more about why you should leverage LDAP-as-a-Service instead of managing LDAP on your own, drop us a note. Or, alternatively, try our cloud directory service for free. Your first 10 users are free forever.